Protein is one of the major nutrients in our food and a key element of our diet. Protein contributes to a growth in muscle mass, maintenance of normal bones and it is a component of every cell in our bodies. Whilst our individual requirements may vary, we need to ensure that we meet our protein needs daily, and that the essential amino acids come from our diet and not from our muscles. 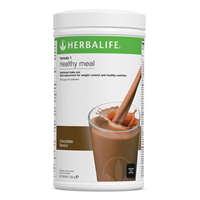 With a range of shakes, bars and supplements, the Herbalife Nutrition high quality protein products will help you improve your daily protein intake and achieve your level of optimum nutrition.